Multitasking in RTS games – Be it Age of Empires 2 or Starcraft 2 – is very critical; especially in competitive 1vs1 matchups. In this post, I am going to grab your hand and walk you through from the very little secret… To the most important techniques and practices to improve your multitasking. First of all, What’s Multitasking? 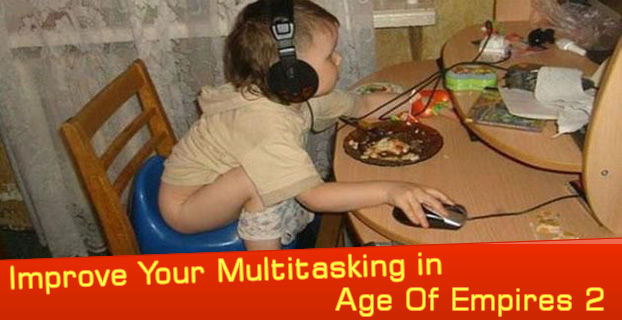 Multitasking is the ability to perform more than one task or activity over a short period of time. 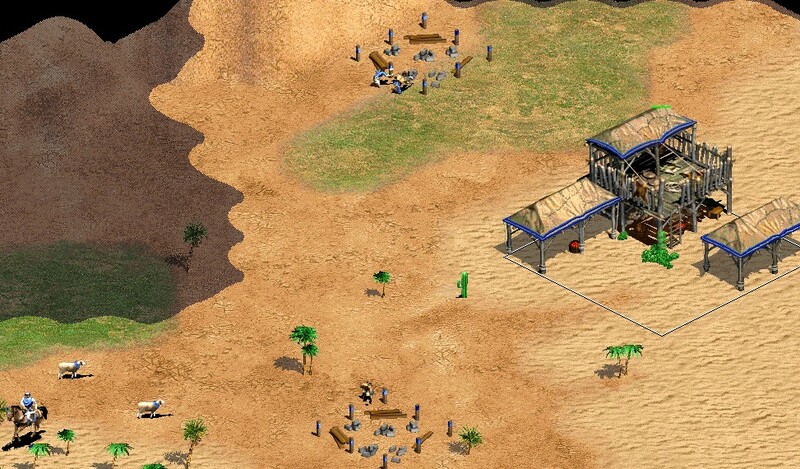 For example – When you start a new game in Age of Empires 2, You usually get 3 villagers and a scout. So a player with decent multitasking skills would use 2 villagers to build a house somewhere nearby the town center. The other villager will also build a house in a different position. Also, move his scout cavalry to look for his 4 starting sheep and explore the map for other resources. ALL THESE tasks in 15 seconds ‘Age of Empires time’, which is 9 seconds real world time. If you are a beginner, It is really NOT as easy as it sounds. It’ll take you some practice to eventually get used to it. Anyhow, that was just an example of a multitude of other tasks. Many gamers today use standard mice and keyboards purchased at a bargain price ($2 – $5). 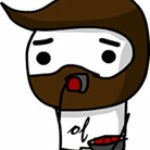 Which is fine especially for someone who just wants to chill out with friends and play less stressful games. A budget as low as $5 for a mouse and a keyboard is very reasonable. 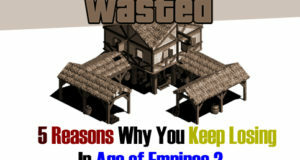 However, players – with a genuine desire to learn Age of Empires 2 or RTS games in general – are required to spend more cash on their gaming equipment. Thank god It’s 2017! 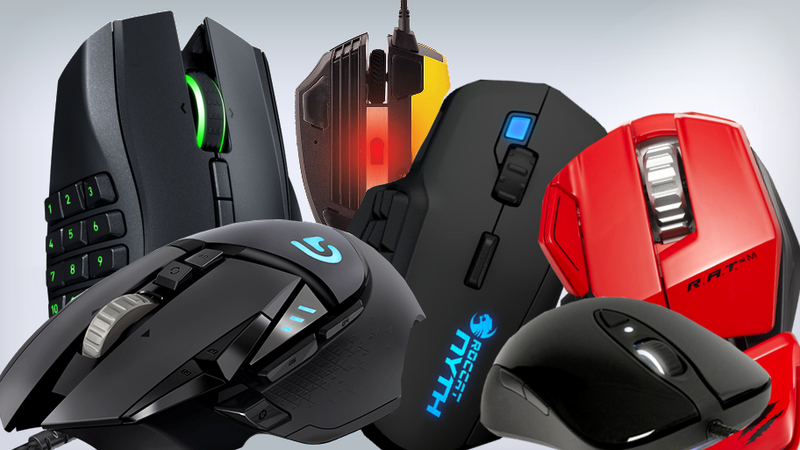 a decent brand-new gaming mouse is going to cost you between ($20 – $200). Of course I myself will not pay $200 for a gaming mouse yet. After all, most reliable and picked up mice among Expert players are those within the range of ($40 – $99). I obtained mine at $69, 5 years ago and It still works like charm. Now, what should you be looking for into a mouse so that It is doubtlessly a gaming mouse? When you click and hold the extra button, It will cycle between all your archery range buildings and queue one archer in parallel with each building. Simply a gaming mouse without a software is no gaming mouse! The software grants you access to edit Advanced Macros, DPI Level, polling rate and set up separate profiles for various games. Why USB Wired Mouse/Polling Rate? Briefly, a Wireless mouse polling is LESS reliable and inconsistent than a USB Wired mouse. Polling rate essentially ensures that your mouse moves smoothly, accurately and without freezing. The Minumum required value of polling rate is 500Hz OR a recommended value would be 1000 Hz. Another lousy downside of a Wireless mouse is, suddenly in the middle of a game it may shut down due to low battery/power cells or Bluetooth stops working. So be warned! Standard mice come with 800 DPI or a maximum of 1400 DPI, which is not enough for improving your speed of control in Age of Empires 2. A recommended value for RTS games would be between 2000 – 4000 DPI. If you have never possessed a gaming mouse, you might find “2000 DPI” very overwhelming. Don’t worry! It is perfectly normal. 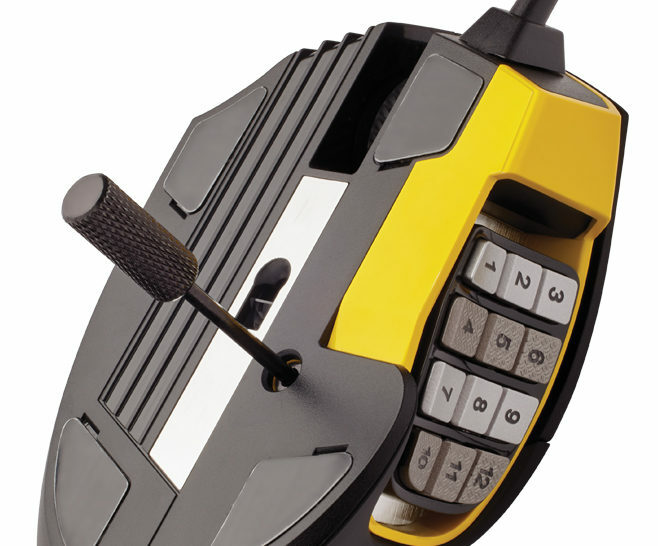 I still remember the first time I bought my Mad Catz RAT 5 mouse. I initially set it to 2200 DPI then I could hardly control it in-game. But after a week of continuous practice and games, It has become very natural and my gameplay mechanics felt superior to beforehand. This is one of the most disregarded features that gamers should pay more attention to. An easily disassemblable mouse makes life so much easier when – for example, you have a double click issue or a malfunctioning mouse wheel – Very common issues that usually occurs after 2 years of excessive gaming. Now instead of buying a new mouse, You can simply youtube any of those issues and fix it within 15 mins. You can also look up videos on how to disassemble and assemble gaming mice. Gamer keyboards can also help improve your gameplay and reaction time. However, Not as much important as a mouse. (Optional) Extra buttons: More Advanced macro commands. Mechanical keys: A keyboard built with high quality, typically spring activated, key switches. These key switches vary based on the keyboard’s application or user preference. … Mechanical keyboards simply feel better than rubber dome keyboards. Lightening Modes: Such as night mode lights. It makes your keyboard keys viewable in dark rooms. Media buttons: Play, Stop, Pause, Next, previous Music through your keyboard without having to alt-tab out. Extra USB/Audio plug ports: You can finally use your short cable headphones without a need to an extension. Also, make use of an extra USB port. As I promised throughout this guide. You are walking out from this with so many multitasking tips. In this step, I will teach you how to adjust your mouse settings on Windows 7, 8 or 10. Before we get into the settings, You must know that Windows and since the release of Windows XP. It has implemented “Pointer Precision” which basically lets windows system anticipate the mouse movements of users and essentially the cursor is going to anticipate and land on a button or close a window in an accurate way. Well, this practice is horrible in the sense that you no longer have a 100% control of your mouse. That is why Expert players – whether RTS, FPS or MMO – turn off Pointer Precision to gain a complete control of the mouse. How to Turn off Enhance pointer precision? 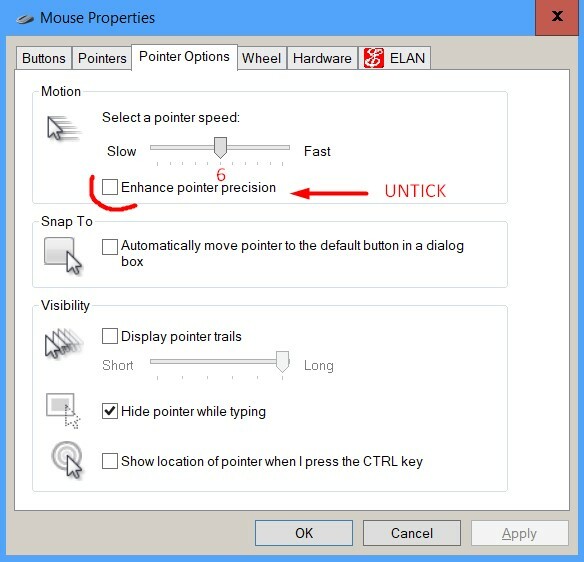 To turn off pointer precision, simply click windows startup button > search for “mouse” > In Mouse Properties Window > Click “Pointer Options” Tab > Untick Enhance pointer precision and make sure that pointer speed is at Level 6/11 as demonstrated in the image below. 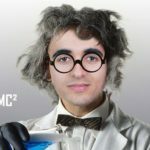 MarkC is a registry file that – when applied to your computer – removes Windows 7 or 8 or 8.1 or 10 mouse pointer acceleration. Once you download the archive and open it. Look for The MarkC MouseFix builder and then extract its content somewhere on your desktop or documents. After you extract those contents. 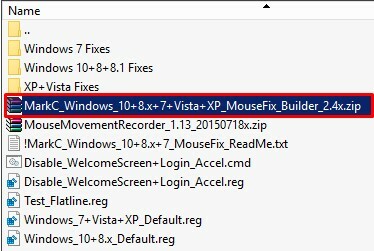 Just run “MarkC_Windows_10+8.x+7+Vista+XP_MouseFix_Builder.CMD” and then a small window will pop up. Then just keep clicking “OK”… At the end of the process… Another small window will turn up “Browse For Folder” (as shown in the image below). 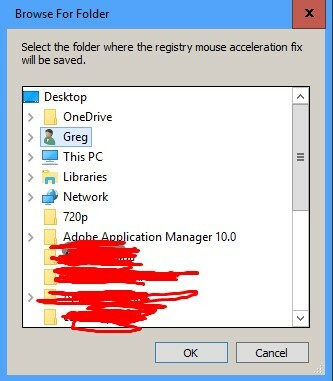 For example, select desktop and click OK to save your “Registry File” – which we are going to install after this step. Congratulation! Just restart your computer and your mouse should be ready to function as accurate as never before. [alert-success]Be aware that all of these changes we have applied, your mouse (may) feel weird or be troublesome to control. It is perfectly normal! All of us has gone through this! 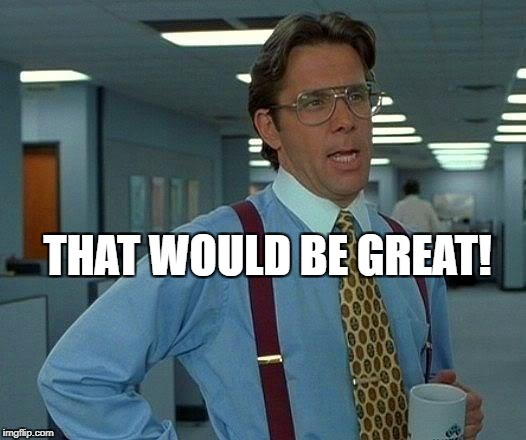 And if you would like to be a good player. I assume now that you have acquired the previous section. Now we advance to a very important element in improving your multitasking skills. It is “Building Muscle Memory”. The first time you try to Backspin, you are likely to fail (the execution). However, after lots of practice: The movement of your body; The position of your legs; The strength of your serving; The manner of holding the racket… All these acts are going to be saved in your brain. And every time you practice a Backspin; Your brain calls those acts and then everytime You do a Backspin, It is done: Faster(less time), Efficient(precision), Impulsive(without thinking). Did you get it? Muscle Memory is essentially everything Multitasking is. Since both, they relate to each other in terms of (Faster, Efficient, Impulsive). What Are Specific Exercises To Improve Muscle Memory(Multitasking) in Age of Empires? Age of Empires 2 makes use of both your hands’ muscles. So clearly, we are going to practice Both Hands exercises and Single Handed exercises. Age of Empires 2 as an RTS genre can NOT be without hotkeys. Even (FPS) aiming games like counter striker or battlefield rely on hotkeys. The use of hotkeys optimizes so many seconds of your gameplay and not to mention efficiency gained over the practice. 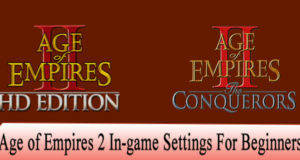 First off, if you are a beginner to Age of Empires 2? Or you haven’t learned hotkeys yet. You must jump into the map editor, set all resources to 999999 and practice all hotkeys. An accepted example of practicing hotkeys: Build a house 10 – 15 times using (B + E or whatever hotkey it is set to). The more you practice a single hotkey, you will do it precisely and efficiently in less time. I understand that this practice will take you about 30 – 45 mins. Once you are done with it, you can only practice it again the next day. Until you feel that you are performing them Faster, Efficient, Impulsive. Usually, In 2 – 3 days of practice is enough. If you are of 2000 or above Steam ELO. This exercise is probably pointless for you because you already have a good grasp of your hotkeys. However, If you are struggling with a single hotkey, You should think of changing it immediately and practice it for 3 mins in the map editor. RTS relies heavily on hotkeys; Thus typing. So if you are not a fast typer then this exercise is a must do. If you achieve 60 wpm then you are indeed a fast typer. Above 60 wpm You are a god. However, lower than 60wpm around 50 ish is fine. 40 ish or bellow … You need help!!LOL. Just kidding!! Go practice and you will get better. I can’t stress enough how important this exercise can be!! Especially for players who are new to Age of Empires 2 or any RTS. Also very useful if you recently bought a mouse or keyboard. Just sign up an account on OSU! and download the game. Now go to Beatmap Listing and download any song from there or use the search field to find your favorites. Launching OSU! Run the game tutorial to understand basics ( You will use your hand to move the cursor + Keyboard keys to click the circles). There are levels and It gets more difficult at hardest, Insane or Above. You don’t need to master all the levels. Just acquiring 85% at hard or hardest is all that it takes to get a better control. Just practice it 2 or 3 times a day to get the hang with your mouse control. Let me tell you a little story how I managed to make a jump from 155+ Voobly ELO to 17++. 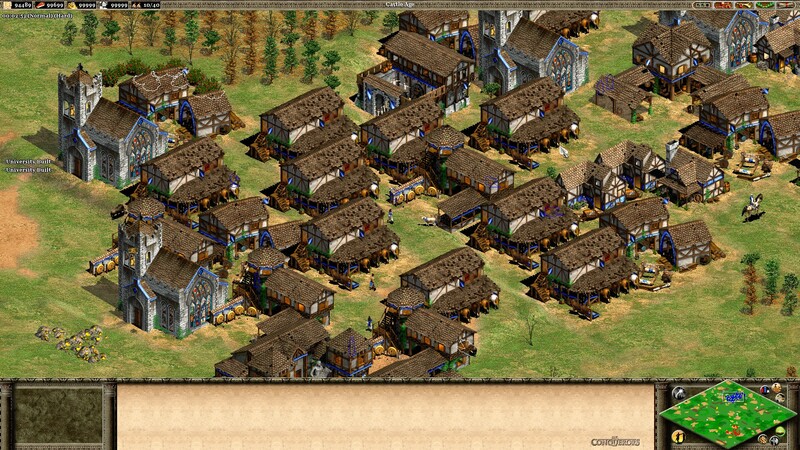 I have always been a huge fan of Age of Empires 2. And I would argue with other fellow friends from Starcraft 2. To try to demonstrate that AOE2 requires higher skills and multitasking. Four different resources to manage instead of two in sc2 etc. I was tilted to a point that I started digging video tutorials on youtube and looking for build orders… Guess What I have figured out? Starcraft 2 is just as strategic as Age of Empires 2 and shares the same aspects as well. You can do rush builds, economic builds, cheese builds, all-in builds. The game also relies on Hotkeys, macro, and micro etc. I sighed in relief seeing that… Because deep inside I knew that I am very familiar with all those technicalities. And have higher chances to learn within few days. That’s what happened exactly! Just a week later, my cousin logged in and saw that I was Top 15 Gold Rank already (slightly higher level than his). He was shocked and didn’t believe that. Until we played 3 games where I humiliated him repeatedly with a roach and hydra rush. One month later, I was first in the Platinum Rank. Four Months later, I was Diamond Rank Top 50. A few Months later, I got the Masters Rank Tier 3. And It was then when game after another I started climbing the 17++ ELO in Voobly and even beat 18++ players sometimes. The Lesson here is playing other RTS games can also participate in getting better at age of empires 2. There was a discussion on aoczone not long ago about macros. the main opinion was that they shouldnt be allowed at all. So the question is when does “macro” start. One could easily argue that ctrl + a + a is one. I would be careful with using them. You are absolutely right! That example of “killing idle vills” is sort of too much – It would take someone else 2 – 4 seconds to kill many idles whereas MBL can do that in less than a second…Unfair! I am pretty sure one of these days. Scripter or an equally skilled developer would figure a solution to have long macros canceled or impractical… Then…. There’s a simple rule of thumb for macros: One input, one output. So remapping a hotkey onto your mouse is fine. Ctrl+A+A is more than one input, so you shouldn’t use a single macro key for it. It’s true that this might not get you into trouble, but in the interest of fairness you should stick to that. Thanks so much for this guide I have learned a lot of new tips I guest i need to practice osu since my main struggle is mouse control. I am glad you enjoyed it:) Thanks for the feedback. Are you sure about the DPI setting? The best-known AoE2 player TheViper actually uses a DPI setting of just 400. One of the ZeroEmpires video recommends the same setting, just 400 DPI, for better precision when microing. I have only just changed my setting and I admit it feels weird, but I am going to try it out and see if I get used to it.